Dr. Snider is one of the longest practicing chiropractors in Asheville with many years of treating grateful patients from a historic building on Merrimon Avenue. His previous website was in dire need of an update and used an outdated cookie-cutter template. 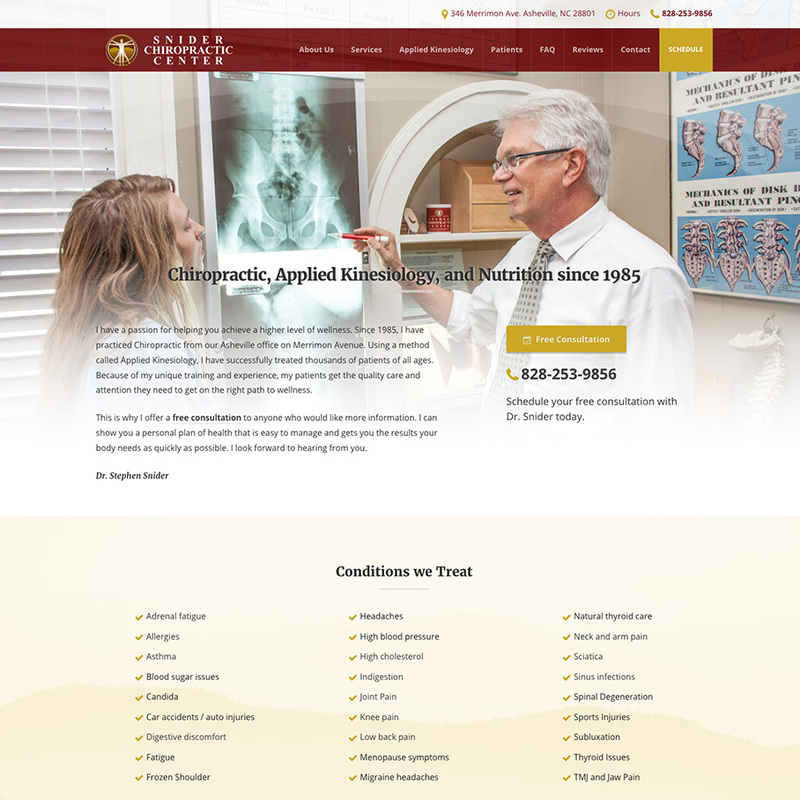 I elevated his site to a modern look to show his vast knowledge and help potential patients find their conditions. I believe it important to show the face of the person who will give treatment, so we emphasized showing Dr. Snider throughout the site using new photography. We invite people to call and contact Dr. Snider through clear calls to action and easy-to-access contact information. The result is a site that helps potential patients get the information they need quickly and encourage them to make an appointment.